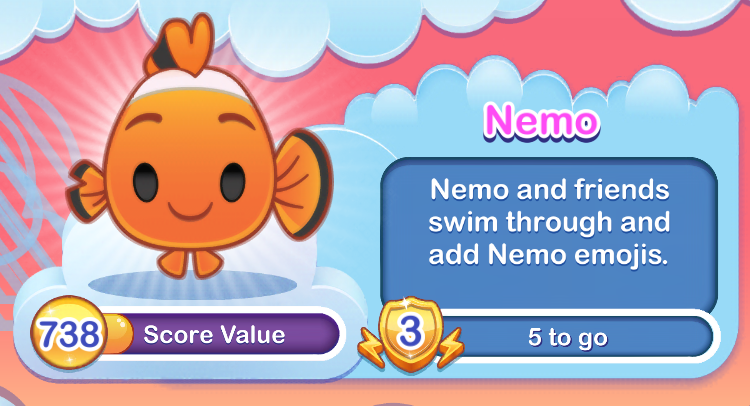 Transforms nearby emojis into different random emojis! 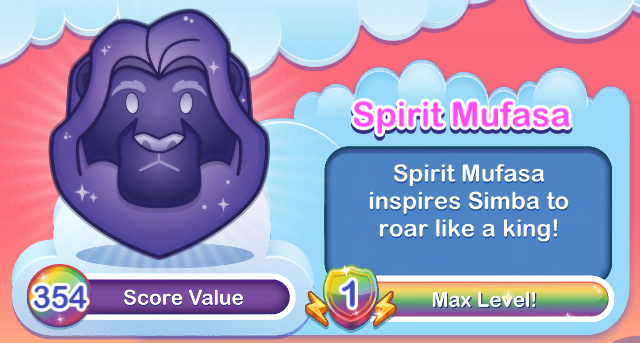 Whatever else you do, do not throw off the Emperor’s groove! Kuzco turns into a llama and duplicates several emojis around him in the process. 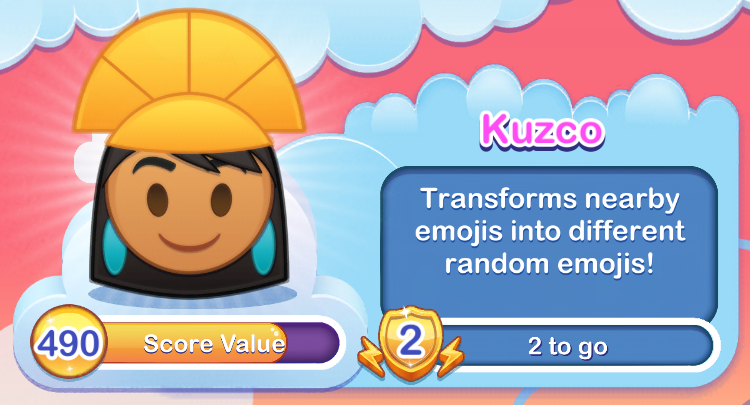 As you level up, Kuzco transforms to a llama and back again, duplicating emojis around him twice–useful for making Lightning-Cloud or Sunshine powerups! Transforms nearby emojis into Tiana emojis. The only way to get what you want in this world is through hard work. 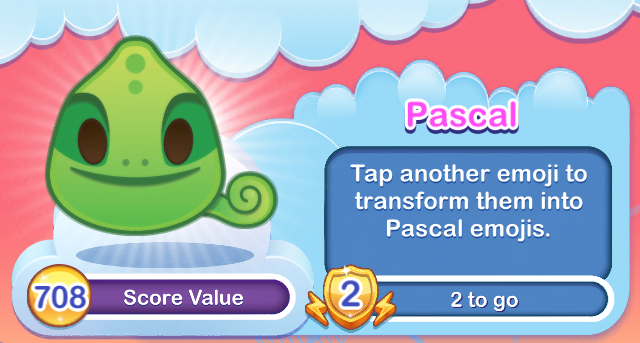 Or to kiss a frog. 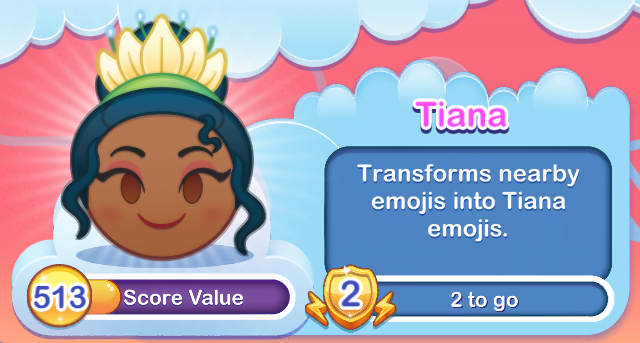 Tiana emojis duplicate next to each other, creating combinations that clear emojis and create powersups. 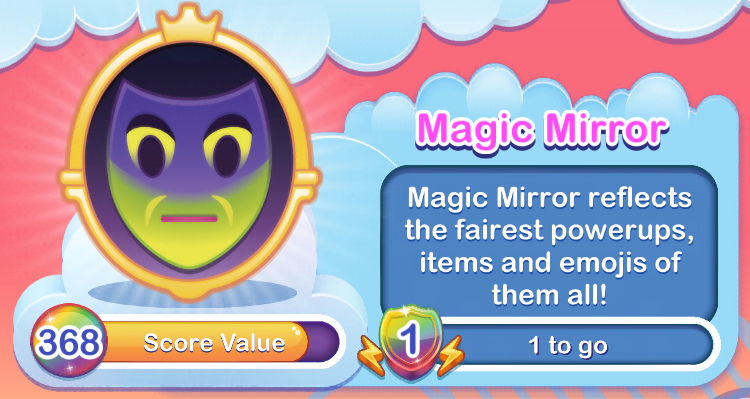 Magic Mirror reflects the fairest powerups, items and emojis of them all! 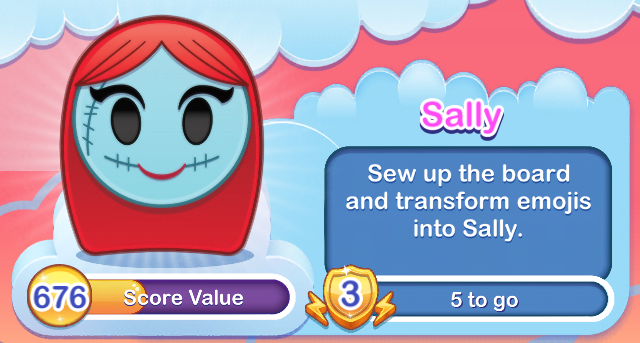 The Magic Mirror takes the two “highest ranking” powerups and reflects them so you end up with two powerups side-by-side. 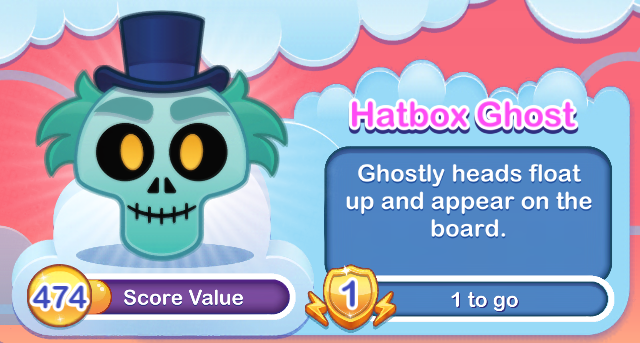 If you don’t have any powerups on the board when you select Magic Mirror, it will reflect two random emojis, often creating a chain of three or four.